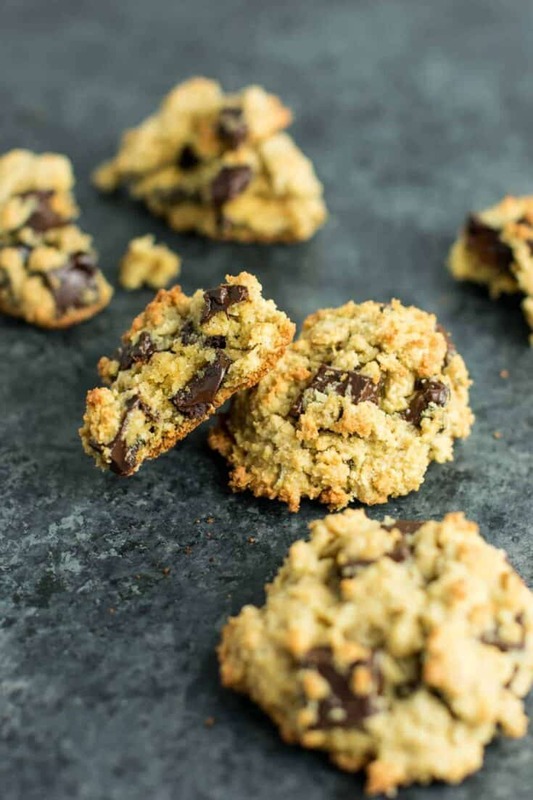 Last week on my facebook page, I shared a video of my personal favorite cookie: these healthy oatmeal chocolate chip ones. I had a friend ask me if I thought they could be made with either coconut flour or almond flour. While I am not gluten intolerant (I love using whole wheat flour! ), my mother and many others need or prefer to nix gluten from their diets. I decided to test out my favorite gf flour combo on these cookies and the result was just what I hoped for! Since then, I have often used the combo in other small recipes like mug cakes, but never attempted it on a larger scale. My husband’s birthday was last month and I crossed my fingers and made what turned out to be the best ever gluten free carrot cake recipe using this magical flour combo! While I personally have nothing against almond flour (and who knows, I may use it in the future! ), for now I try to make my recipes using only gluten free oat flour and coconut flour. I have several reasons for this: first, they are both super accessible and affordable and can most likely be found at your local grocery store. If you can’t find oat flour, you can make it yourself using gluten free oats and a blender. Ready in 3 seconds! I personally don’t want to use any gluten free flour blends that are store bought in my recipes. Chances are if you can’t find that exact (and often expensive) flour blend, the texture may end up completely different or not work at all. These cookies turned out exactly how I hoped! This was my first time trying the oat + coconut flour blend for cookies so I was wary but hopeful. They are crispy on the bottoms and soft and chewy on the inside. There is a tiny coconut taste, but barely noticeable and not overwhelming. I loved these at night warmed up with a scoop of vanilla ice cream as my reward for getting the baby to go to sleep! 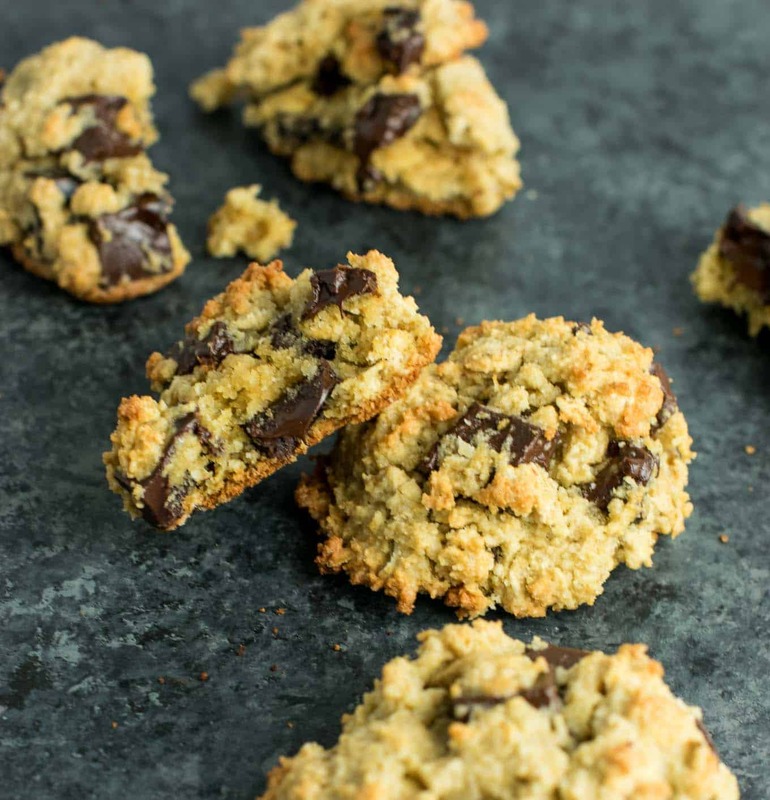 All ingredients in this recipe are the same as my original recipe using whole wheat flour, with the only changes being that we are using just coconut and oat flour for this one. 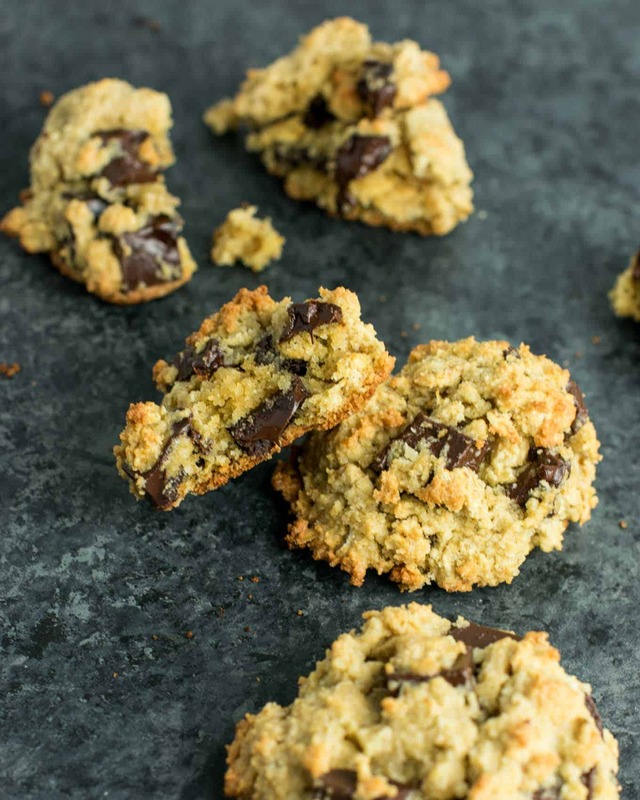 If you’re looking for a delicious and healthy gluten free cookie recipe, this one is for you! p.s. 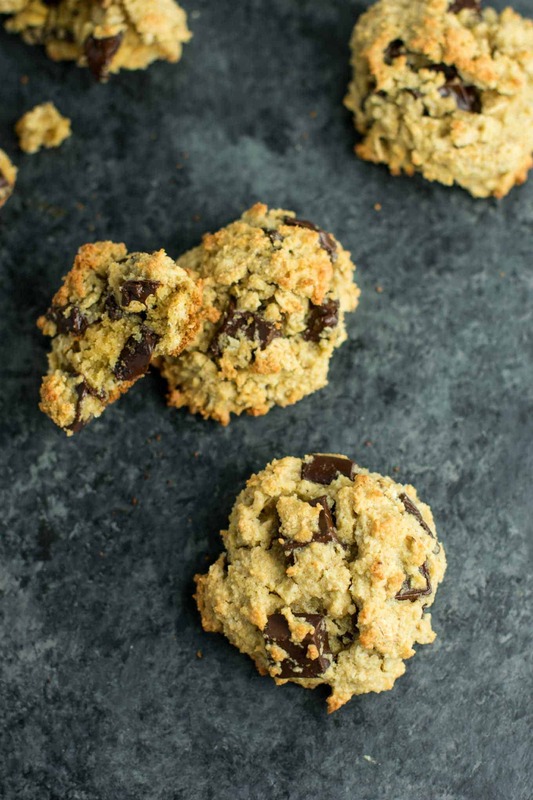 if you are a nursing mama like me, these would make fantastic lactation cookies. They are PACKED full of oats and other healthy ingredients which are great for keeping up milk supply! Looking for more gluten free treats? 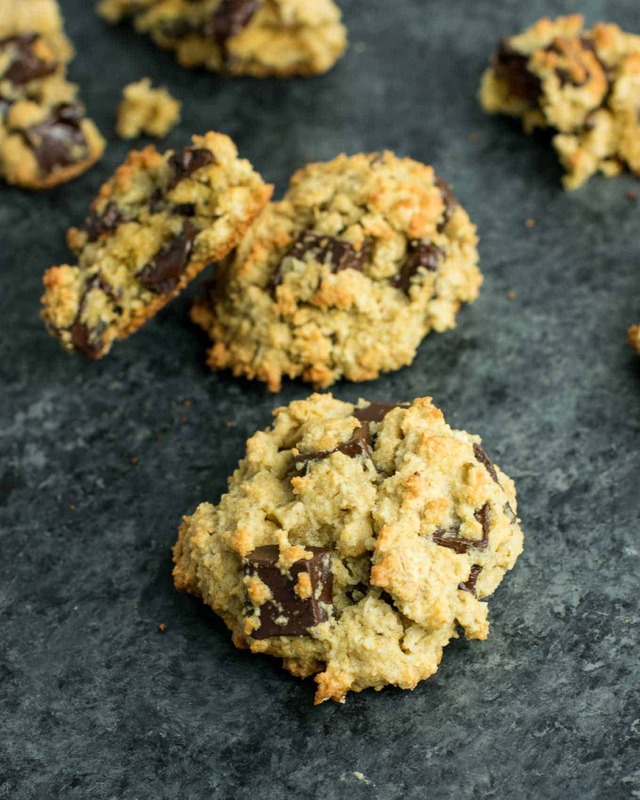 You might also like these: Flourless Peanut Butter Oatmeal Chocolate Chip Cookies, Perfect Fluffy Peanut Butter Cookies, Gluten Free Carrot Cake, Gluten Free Oatmeal Chocolate Chip Bars, Gluten Free Pumpkin Pie Cookies, Peanut Butter No Bake Cookies, Healthy Homemade Reese’s Cups. 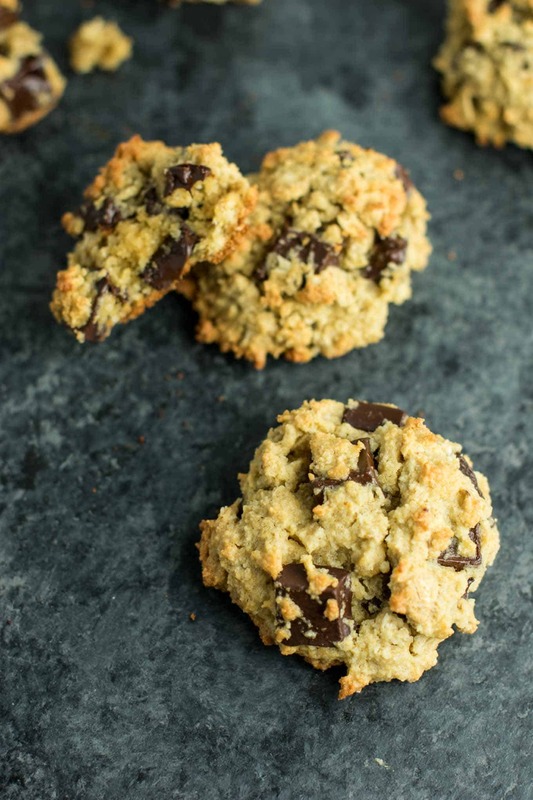 Gluten Free Oatmeal Chocolate Chip Cookies recipe made with oat flour and coconut flour. 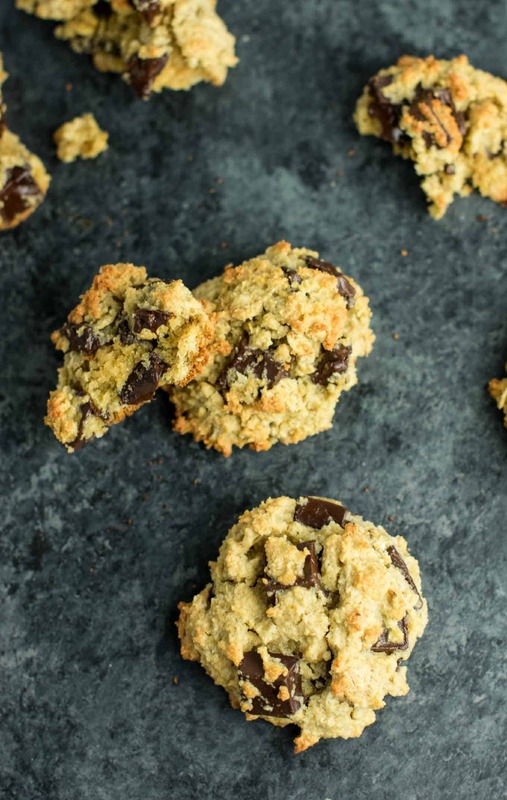 An easy, healthy, and delicious cookie recipe. Combine oat flour, coconut flour, salt, and baking soda in a bowl and whisk well. One question. Can you drop the eggs and make this a vegan recipe? What could I use in place of eggs? I think you could definitely do that! I would think using chia eggs as replacement would work. If you don’t know what a chia is, you can google it. Super easy to make!